I will save my praise until i see pictures, then i will say "Cool." but until then, cant wait til the pictures are here. 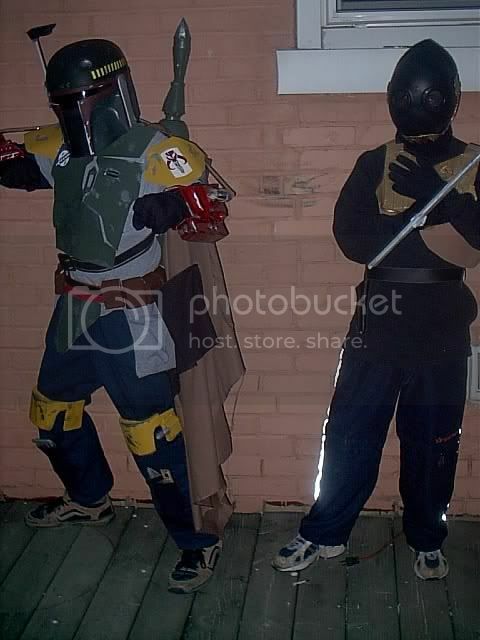 well here it is but the pics are bad because well i did them in the dark and it has a very bad flash.the other costume is a kroenen costume i made for my freind its a pretty cool costume also.do u think it is good for my age with no help from anyone at all?it was a 4 month project. 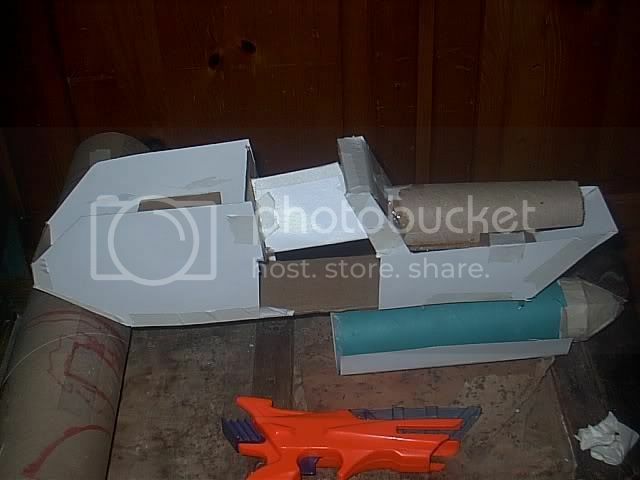 also heres a pic of my in progress dc-17 commando blaster rifle for my mandalorian.watr do u think tips templates referance could u guys help me out?? ?the pistol at the bottom is a work in progress also my uncle made a cast out of a toy gun like that. Very well done! Do you mind if I ask how old you are? im only 12 years old.amd Novall Talon im thinkin of joining the mercs as a virdika(little warrior)but im gonna change a few things for my own armor. Wow! 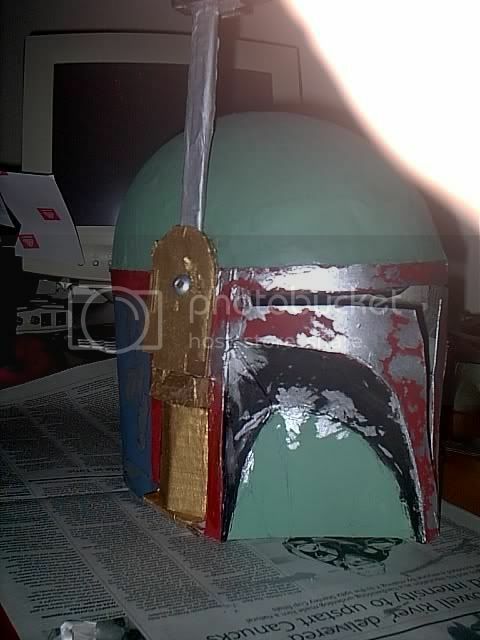 That's amazing for being only 12 years old, I can imagine the small budget you must have had interfered, but it certainly didn't hinder with your creative costume making! One thing: Get some good Fett shoes, NOT sneakers! 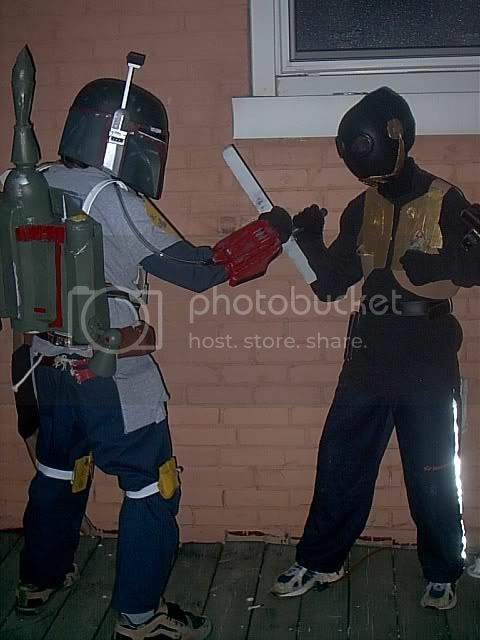 yah well do u know were i can get real cheap fett boots.I cheked out caboots and holy talk about pricey!!!! wouldnt it b cool if there were some really wet Fett kix? 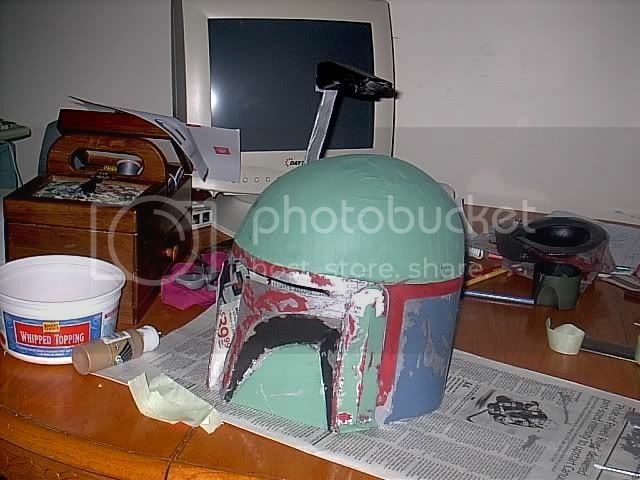 Scroll down until you see "Scratchbuilt Fett Boots." There's the directions! Nice job!! I don't think I could have done that at 12. Download and print off the Verd'ika form. Fill it out and have one of your parents sign it, then mail it back to the address on the welcome letter that comes with it. 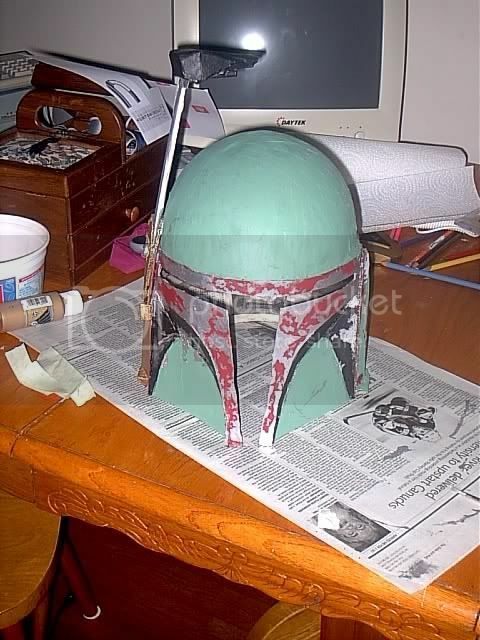 I'd like to see them--I have no idea how to even start a made from scratch helmet. here are some pics of the helmet.all i need left is visor any ideas?? Do u like? 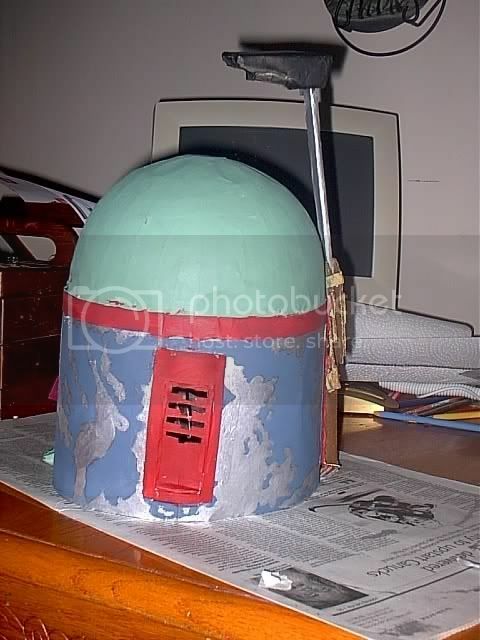 ?i think its pretty good but the back is only ok.I made the vent thingy on the out side for my own helmet kinda look for my character...Devin Jax!!! !